When I was a kid I’d build the Lego set. I would follow it step for step, exactly as the instructions indicated. I would double-check my work before moving on to the next page. I would make sure I had put together the castle/pirate ship/space station precisely as the Denmark-based toy company desired I do so, to the very last brick. I would assemble the model with utmost accuracy and care. Then I’d admire it for a few minutes, force my sister to observe my masterpiece maybe. Parade it around a bit. Set it on the shelf. Then I’d totally destroy it. Because c’mon. What’s better than pirate-captained space-frigates with cross-bone sails and castle walls? Or police helicopters laden with armored knights flying off to battle ice monsters? The mix-and-match method of ‘create-your-own-lego-invention’ was obviously ten times better than whatever came in the box. You could have horse-carried laser-wagons armed by construction workers wearing space helmets. It was great! Twenty years later, not much has changed. 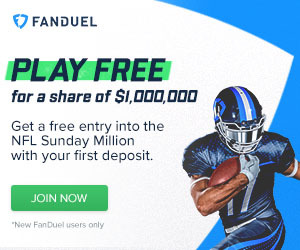 Kurt, our Knuckleheads site owner, invited me to mess around with Daily Fantasy Sports this year in an effort to improve the computer tool he was developing to optimize Daily lineup plays. At first I sort of went line-by-line, ‘assembling per instructions,’ if you will. But after I really started toying with it, I realized the potential therein. The meeting of mind and machine. I’m a chess master. I’ve played for many years. In today’s game, not even the best human player stands a chance against a run-of-the-mill computer engine. But every year they have something called the ‘absolute world championships,’ which involves teams of strong masters working together with software and hardware to play chess against other super-teams. The result is some of the most competitive, interesting, and complex games of chess ever played. Our understanding of the game multiplies exponentially with every installment. I’d like to think the optimizer offers the same potential for DFS. 1) The computer loves spending money at quarterback. This was interesting to me, as I often tried to play cheap quarterbacks with good matchups who I could stack with expensive receivers (Cutler to start the year, Palmer more recently). Nonetheless, the computer often prefers spending $8500+ in order to get an elite quarterback with a good matchup. 2) The computer generally avoids expensive tight ends. The one week the computer spent money at the TE position it played Julius Thomas, who promptly put up his worst performance of the season to date. Even to get Thomas in the lineup, I had to force out a few other TEs by excluding them with the ‘remove’ tool in the optimizer. Many players set their lineups with position players in mind and then use “whatever’s left” for defenses and kickers. The computer looks for kickers on high-octane offenses (I see a lot of Cody Parkey, Robbie Gould, etc.) and defenses with great matchups and a 2014 history of good performance. It isn’t afraid to spend the extra money to upgrade these oft-overlooked in daily plays positions. Classic. Spending $9100 at QB, going cheap at TE, and finding a kicker on a strong offense and a defense with a great matchup and excellent track record. Right on target! Brees, still at a high price, will likely not be used much this week. At least not as much as he should be in a home game against a weak Green Bay defense. (Yeah, I know their stats against the pass are nice but that’s inflated by their total inability to stop the run. In a high-scoring affair, I like the comp play here). I don’t like the Cardinals RB-WR stack of Ellington and Floyd, so my first hybrid change will be to adjust that play. The Bears have also been a mess of late so I will also probably be removing Gould and, depending on price, potentially also Marshall (although it is interesting the computer identified Marshall as a great value at only $7400!). I decided to use the other half of the potential shootout in New Orleans and stack Rodgers and Nelson, who have been a great combo so far this season. To save money, I traded out Ellington for Tate (which also resolved my “too many Cardinals” concern), who has a great matchup at home against Oakland. I also removed Gould and played Bullock, who has actually outscored him thus far in 2014, at the same price. Remember: Kickers matter! 1) I removed every player that the computer used in lineup 1 except Ellington, who I wanted to use in my “Hybrid” lineup but had to cut for stacking and price reasons. 2) I locked Ellington is as a force-play. My Observations: Classic, again. Spending lots of money at QB and not going with the cheapest kicker but again looking for one on a strong offense. The computer also spent less than $6000 at tight end, although Bennett is an unusually high play. These choices, however, necessitated a cheap WR3, and Adams is certainly one with high upside. To me, this looks like a tourney play. Can I somehow mess with it to include some stacks? I think so! I’ll be honest: I’m really not thrilled with this lineup. Out of the four I have created so far, I expect it to do the worst. Why am I playing it? Stacks. As mentioned on our optimizer ‘Read This’, playing QB/WR stacks (Wilson/Baldwin) and RB/DEF stacks (Murray/Cowboys) can be very rewarding in tournaments if they play well. This lineup also has excellent upside. Adams and, to a lesser extent, Baldwin are likely low-usage-percentage plays. I don’t expect either to be in many lineups. If Adams goes off and if Baldwin can come close to repeating his week 7, this could be an outstanding surprise play, which is what you are looking for in tournament entries where 10-50,000 people will be figuring out a lineup. I’m going to play it as a sort of experiment where I attempt to use two stacks with upside players in the same entry. It could backfire mightily or it could pay off handsomely. Frankly, I expect the former. Best of luck in week 8. As always you can tweet me @pkaragianis.